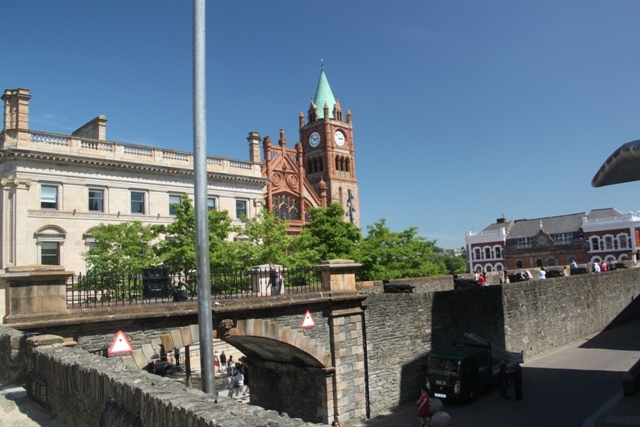 Londonderry, Northern Ireland’s second largest city, the UK’s City of Culture 2013 and somewhere I last visited over 20 years ago. This summer, during our annual trek to N.Ireland to visit family, it featured top of our must-see list – something long overdue. 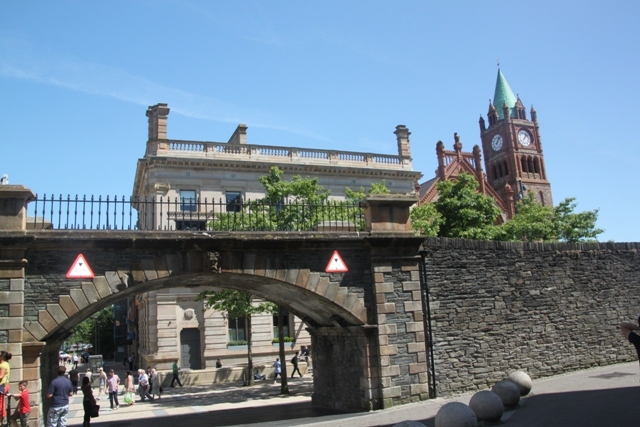 There was a lot of bloodshed here during the Troubles, but the city is fast building a reputation as a tourist hot spot and no wonder – it is stunning and bursting with history, scenery and cultural events. 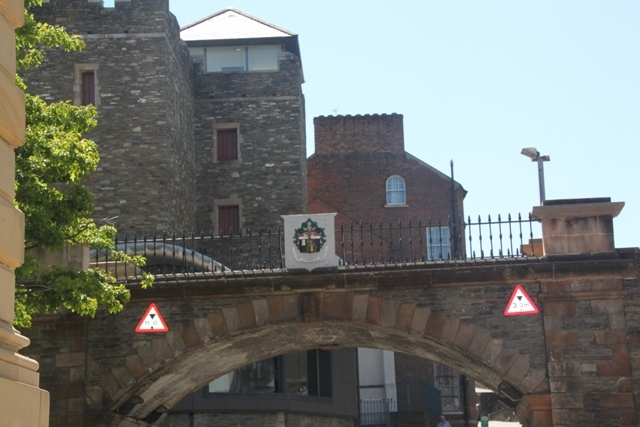 First on our list was to walk the spectacular city walls. There are few city centres in Europe which are fully enclosed within 17th century walls and even fewer that are as well preserved as these. 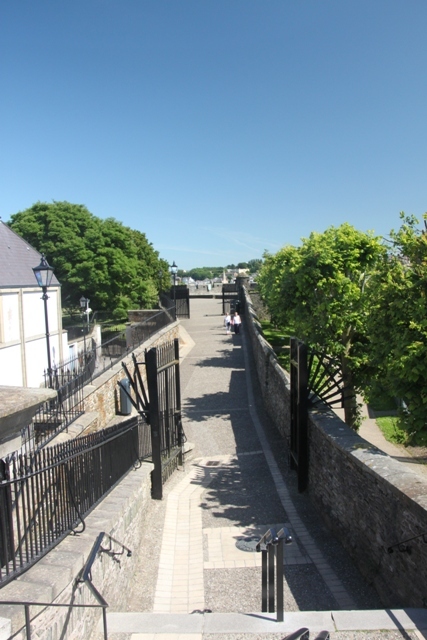 Add to this the views from the bastions over the city and beyond and it is a walk to remember. 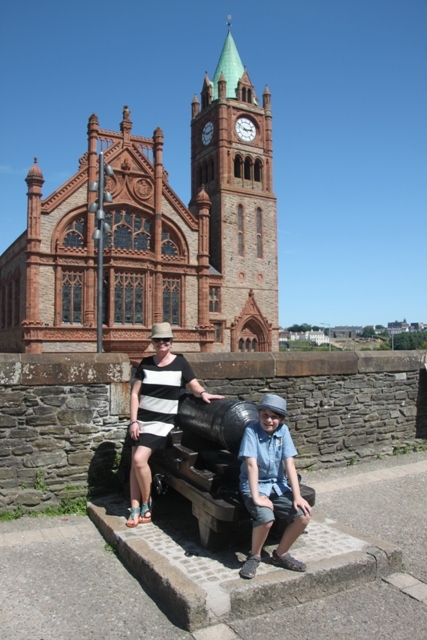 The freakishly hot weather during our visit (normally the temperature hovers at the other end of the scale) made this a novel Irish experience for us. We are not used to sunshine while sightseeing in this neck of the woods. 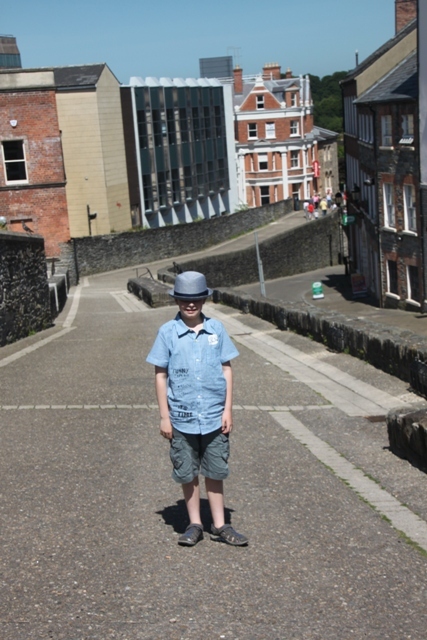 Slathered in suncream and already dripping in sweat (nice – we had just got out of the car), we climbed the steps to the walls near the Guildhall. 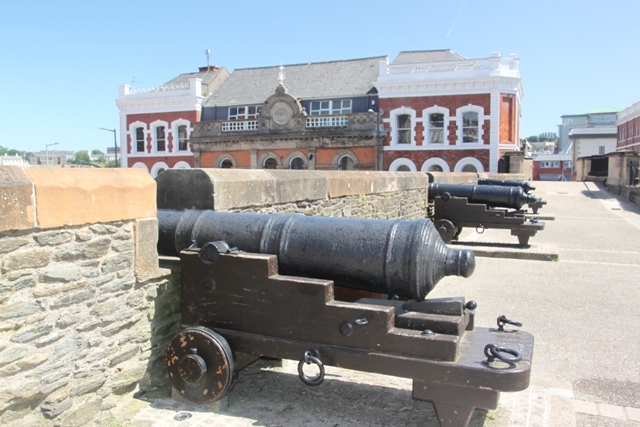 Son was mighty impressed with all the cannons – they were everywhere along the walls. 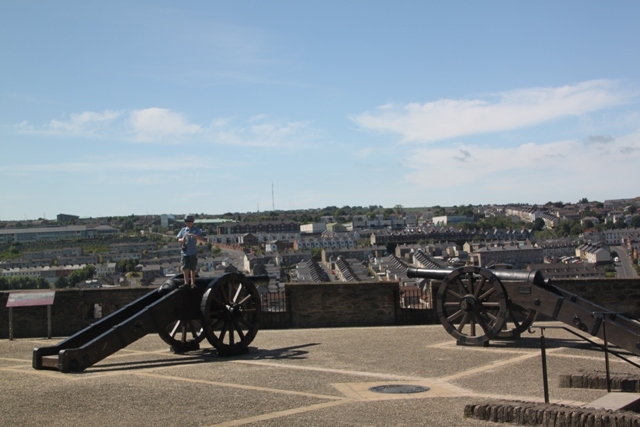 Apparently this is Europe’s largest collection of cannon – that didn’t impress him much, more up his street were the many and varied opportunities to climb said cannons. 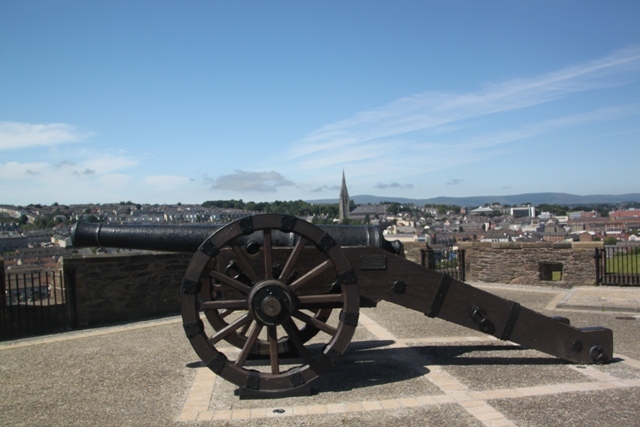 Roaring Meg is the most famous cannon of all – used during the 1689 Siege – we weren’t sure if we saw her or not, but after a mile of cannons, I figure we must have. We looked out from the walls over the Bogside. 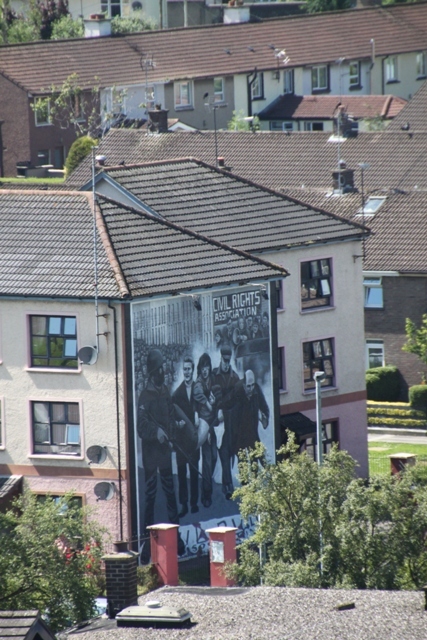 More recent history is commemorated here on modern walls, with murals showing key moments over the last 40 years of the Troubles. The Walker Memorial originally had a statue on top of this pillar. 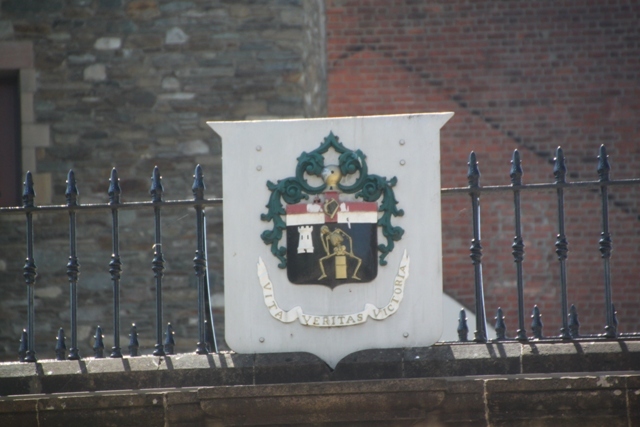 It commemorated George Walker, joint governor of the city during the 1689 Siege. 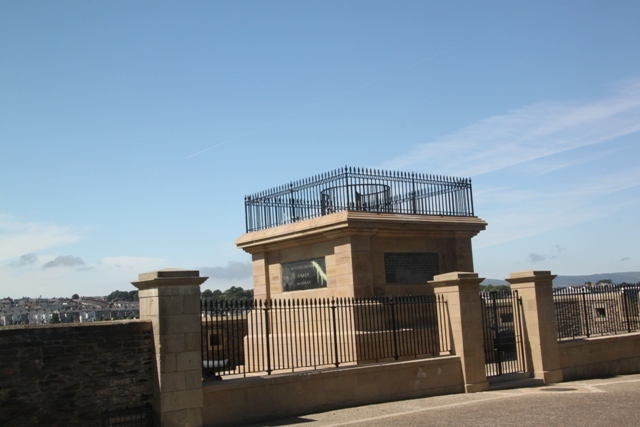 It was blown up by the IRA in 1973 and the statue on top now stands in a memorial garden by a museum. We took some shade from the sun at Grand Parade – also a significant spot. 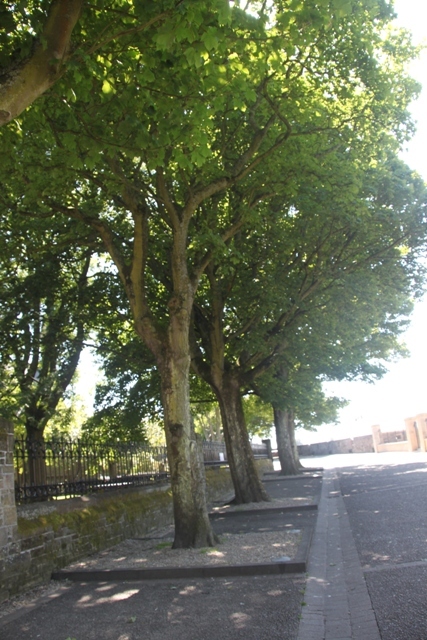 It was a popular walkway during the 19th century, but the 13 sycamore trees commemorate the apprentices who closed the gates on King James’s soldiers during the 1689 Siege. The fruit of the sycamore is a bit like a bunch of keys – symbolic of the locked gates. A whole day just flew by, strolling, reading, looking (and climbing). Occasionally we climbed down to street level to admire the walls from below, mostly we stayed up top to take in the views. The history fascinated husband and me – son not so much, but he still enjoyed the walk with chances to climb, explore and run free. 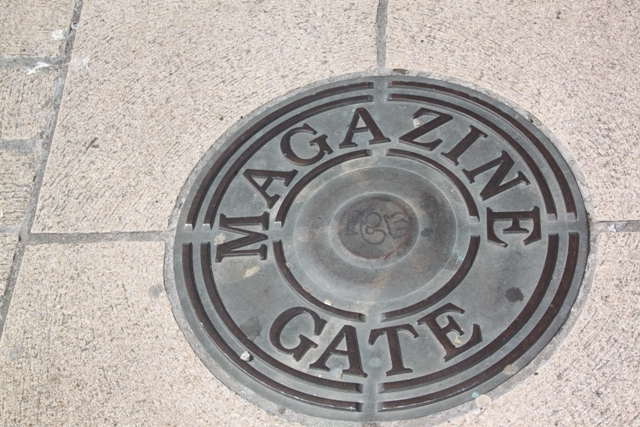 If you visit this city – you must do this wonderful walk. A bit of sun really does make all the difference. Unfortunately this is not the norm – our trips to Ireland usually involve rain of varying degrees! Sorry you had to experience a downfall when you were there.